Google Webmaster Tools (GWT), or Google Search Console as it’s been renamed in May of 2015 to be more inclusive of its diverse group of users, is one of the free tools every website owner, digital marketing professional, SEO specialist, designer, business owner and app developer, to name just a few, should become familiar with. Today we would like to provide you a free Google Webmaster Tools Tutorial, in order to become familiar with this free, vital SEO tool that can’t be ever neglected. It allows you to receive data, diagnostic information and important tools to manage your websites and apps in compliance with Google’s recommendations. 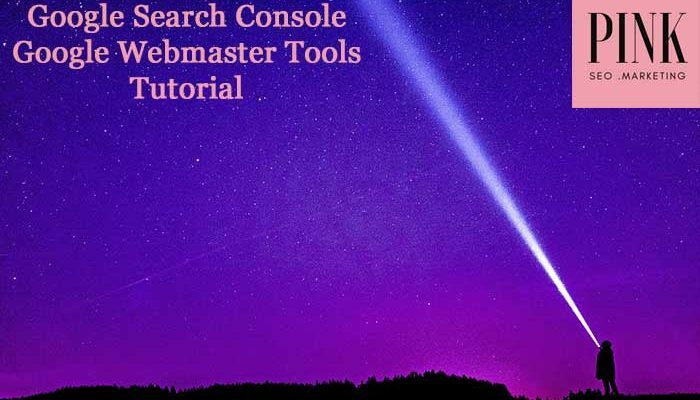 Like Google Analytics, Google Search Console – Google Webmaster Tools lets you learn, completely for free, a great deal of information about your website and the people who visit it. Go to http://g.co./Searchconsole. Basically, you will have to verify your site, adding a special tracking code that your site and verifying it, to prove that you’re the site’s owner, webmaster, or an authorized user: you would never provide such detailed information and insights about your site and users to anyone else! Following these easy passages of our Google Webmaster Tools Tutorial, you will be able to link these two precious free tools, each of which has a specific purpose: Google Analytics allows you to discover everything about who is visiting your site and their experience (for further information, check our Guide How to understand Google Analytics Audience, Acquisition and Behaviour); Google Search Console – Google Webmaster Tools, instead, provides you more precise insights of the internal structure of your website proving you with all the below mentioned detailed information. On your top right corner, select the gear icon. Choose from the list of Google Analytics accounts associated with your Google account the desired one and save. Google Webmaster Tools shows a menu icon on the left. The first selection you can make is Dashboard: everything that’s new and important. Then you find Messages to the Webmaster of your site. The first one you will receive, as soon as you verify your site in Search Console includes some tips to help you get the most of this free service and maximise your site performance on Google Search, like adding all your website versions (both “www” and “non-www” versions, also, if you use the HTTPS protocol, those variations as well); choosing whether you want your site to appear with or without “www” in Google Search, setting your geographic preference if your site targets users in a specific country; submitting a sitemap file (that we always recommend because it helps Google understand better how to crawl your site) and much more. Rich Cards, which are a good way of providing data to Google Search about events, products or opportunities on your website, can be displayed to users in a variety of formats on different devices and can help drive traffic to your website. HTML Improvements, where you’ll be informed, as they crawl your site, if Google detected any potential issues with content on your pages, including duplicate, missing or problematical title tags or meta descriptions. Those issues won’t prevent your site from appearing in Google search results, but fixing them is one of the basics for SEO (search engine optimisation), to provide Google with more relevant information and drive traffic to your site. (For example, title and meta description text can appear in search results, and useful, descriptive text is more likely to be clicked by users and to be considered relevant to some keywords you would like to improve your ranking for). The AMP report shows a count of Accelerated Mobile Pages either successfully indexed or with AMP-related errors encountered when Google crawled your site. In Mobile Usability you will find any mobile usability errors detected (remember to make sure that you check all site variants) affecting your site, which may prevent it from ranking well in mobile search results. Crawl Errors and Security Issues will also help you inform you if google detected any of those issues with your site’s content. We hope you appreciated our Google Search Console – Google Webmaster Tools Tutorial and we would like to receive your feedback in the comments and in our Social Media accounts. In the brand new e-commerce section of our SEO Services, you can find the Coaching Sessions,which can also be dedicated, if you like to analyse together thoroughly your Google Webmaster Tools and get to understand every feature of it.